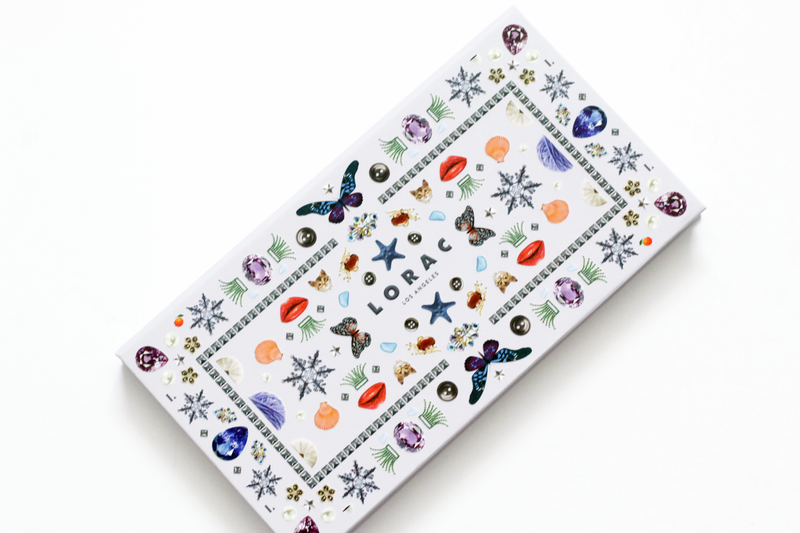 I am so excited to share with you guys my thoughts and swatches on the new LORAC California Dreaming Eye Shadow Palette. I haven't purchased an eye shadow palette in such a long time, but once I laid eyes on this palette, I knew I needed it in my collection. It comes with 12 beautiful shades with a mixture of mattes and shimmers. 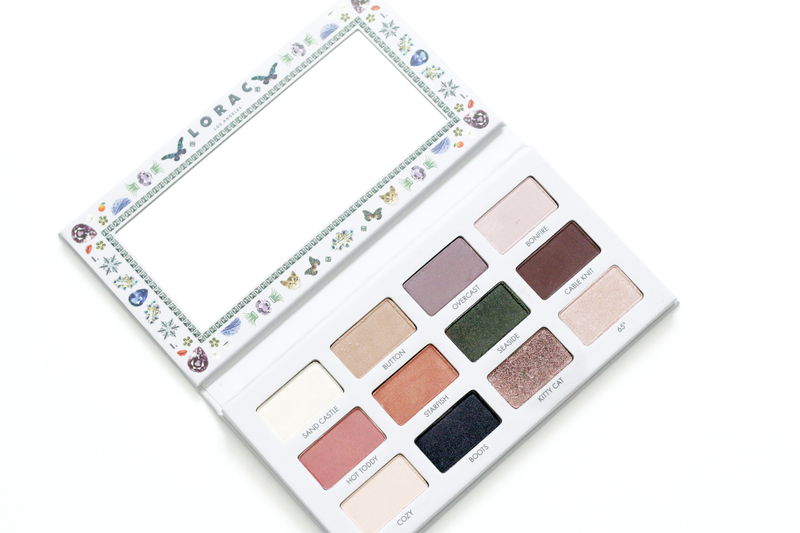 LORAC also came out with a blush palette part of this collection and its stunning as well. But of course the eye shadow palette was calling my name. 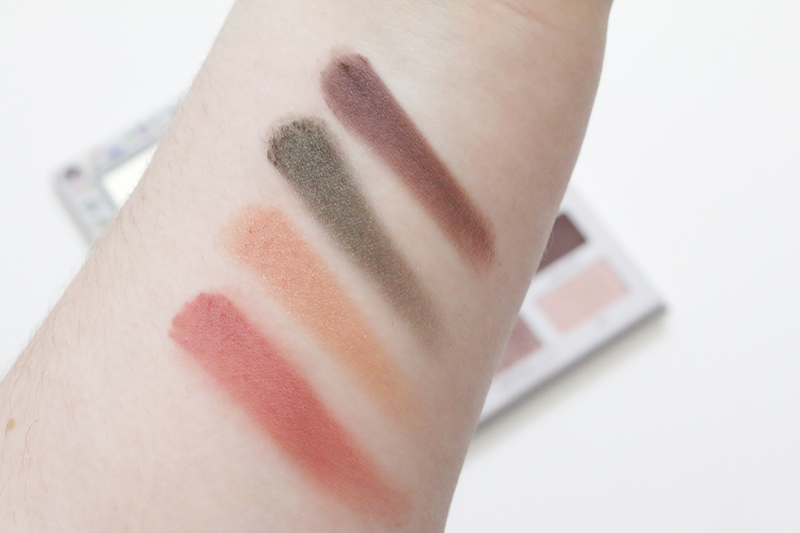 I thought the shades in this palette would be a great go to palette for Spring and Summer. 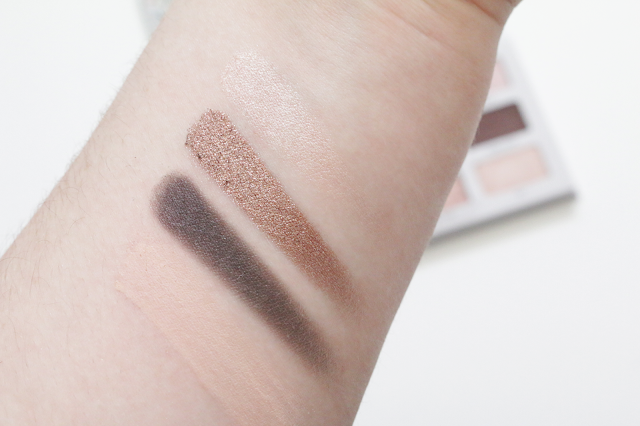 Sand Castle is a white highlight shade that is perfect for the brow bone and inner corner. Button is a pretty tan matte shade that is perfect for a transition shade. Overcast is a matte lilac purple shade. Bonfire is a very light pink matte shade. Hot Toddy is a almost like a coral pink/red, this shade is also matte. I did have a little bit of a hard time blending this shade out. Starfish is a stunning medium orange shade. Seaside is one of my favorites in this palette. It is a beautiful shimmery deep green. Cable Knit is a beautiful brown with a little bit of a red undertone. Cozy is the perfect highlight shade. It is a matte cream. Boots is a pretty shimmery gun metal shade. 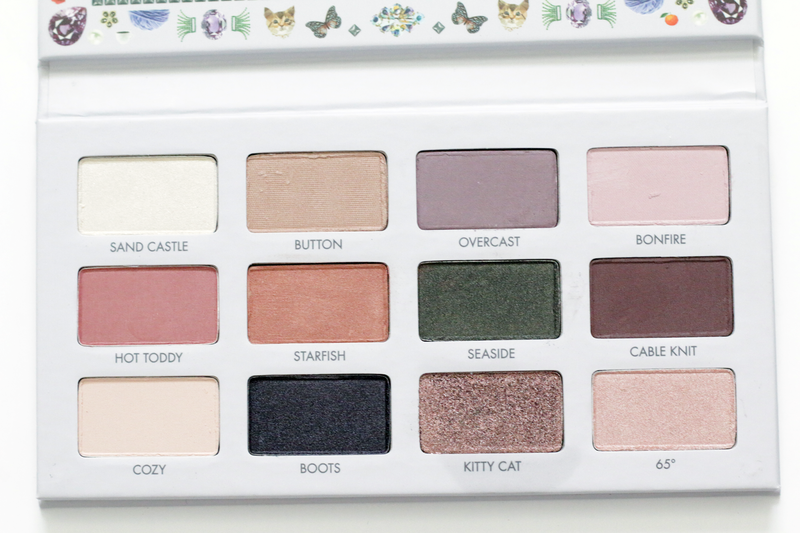 Kitty Cat is seriously the start of the whole entire palette. It is a beautiful shimmery champagne taupe shade. I seriously recommend picking up this palette just for this shade! It is a stunning color. 65 Degree's is a light shimmery pink/cream shade. I cannot get enough of Kitty Cat. It is seriously one of my new favorite eye shadows. I am also loving all of the shades in this palette. It comes with a good variety to create many looks. 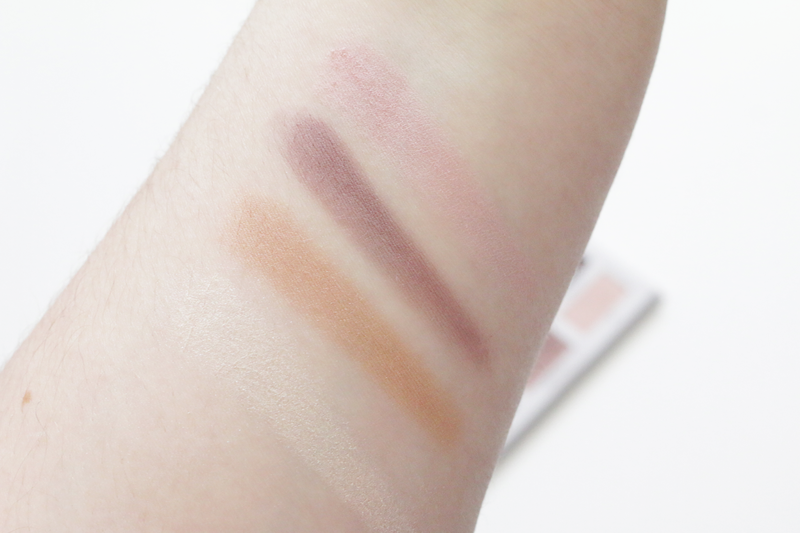 With the mattes and shimmers and light to dark shades, it is the perfect overall palette! 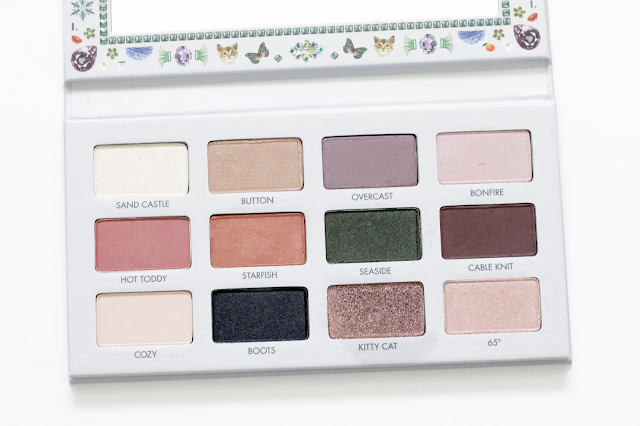 You can purchase this palette at www.ulta.com for only $30.00.